A brand new formula of intense pressed pigment, the Revolution Pro Supreme Highlighters creates an incredible glow. A trio of soft and buttery shimmer waves, each shade can be used alone or swirled together to give skin a dimensional sheen. Gold features three gilded shimmers in striking champagne, gold glitter and rose gold tones. Explore the entire range of Highlighters available on Nykaa. 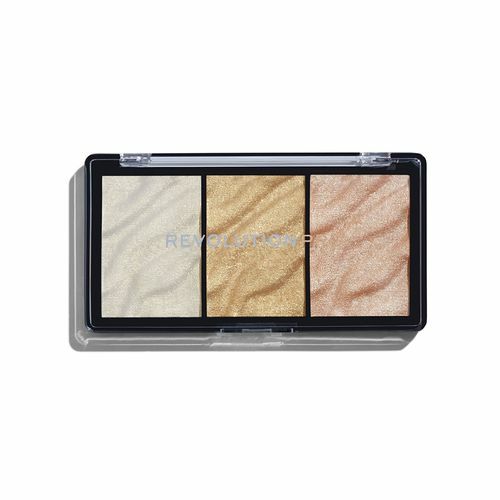 Shop more Revolution Pro products here.You can browse through the complete world of Revolution Pro Highlighters .Alternatively, you can also find many more products from the Revolution Pro Supreme Highlight range.